Begin with the engine cold, vehicle on level ground, transmission in park with the emergency brake on. Step 1 - With the engine cold (only) locate and remove the radiator cap, a small amount of pressure maybe released when loosened. Step 2 - Once the cap has been turned counter clockwise while pushing downward, lift the cap from the radiator. 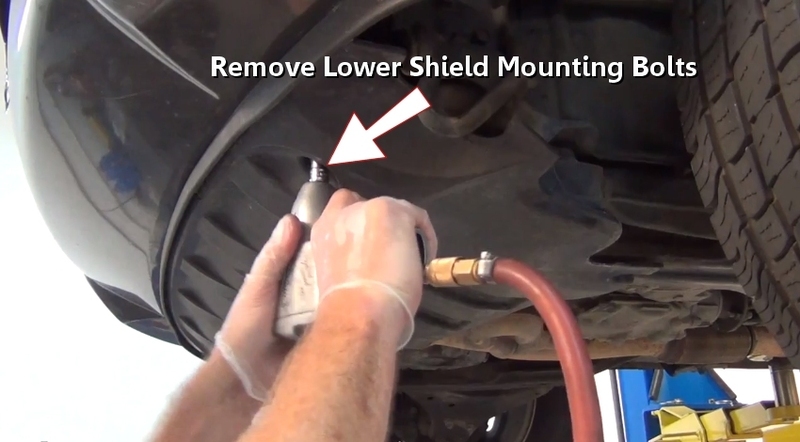 Step 3 - Next, remove lower shield mounting bolts while removing shielding. This will allow access the bottom of the radiator. 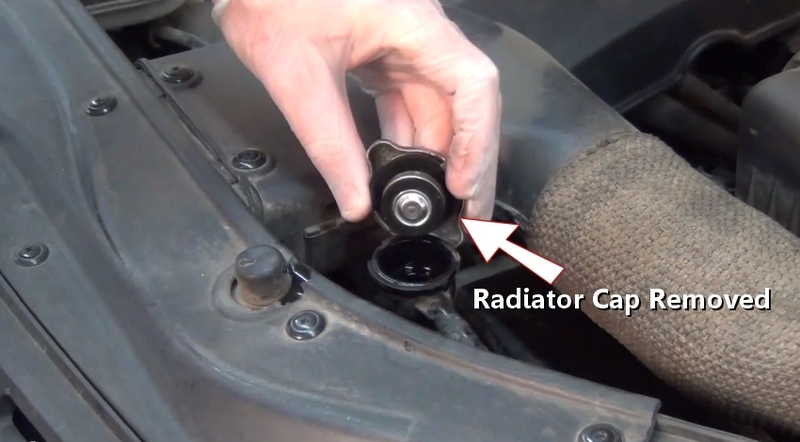 Step 4 - After removing the lower shielding, locate the radiator drain plug and start to loosen. 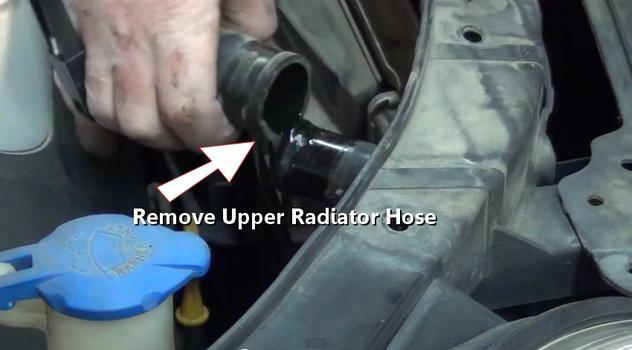 Step 5 - Once the drain plug is loosened coolant will start draining from the radiator drain. 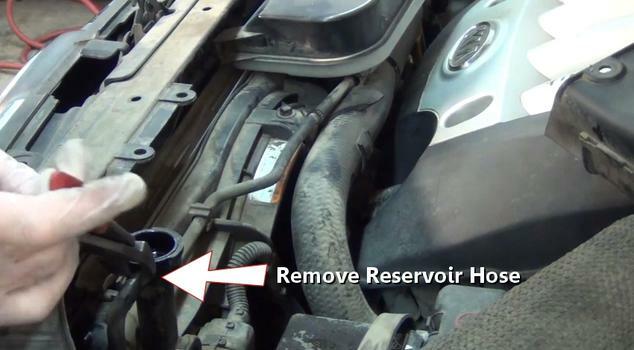 Use a catch basin to collect the coolant to be recycled. Step 6 - After the coolant has finished draining, remove the mounting bolts or clips holding the air intake and the plastic fascia over the radiator. 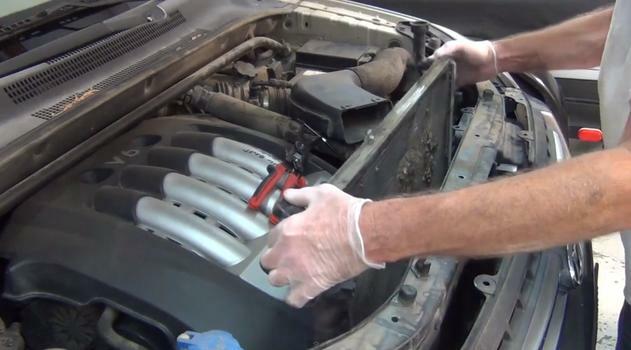 Step 7 - Once all of the mounting fasteners are removed, lift the cover from the engine bay. Also move the air intake away from the work area. 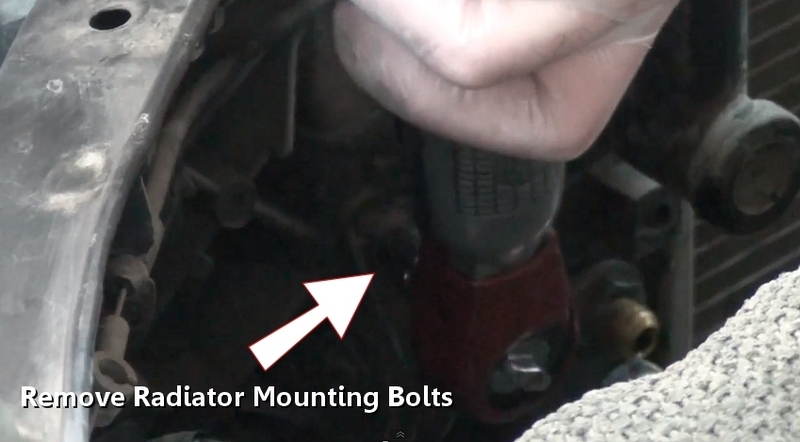 Step 8 - Next, located and remove coolant reservoir mounting bolts. 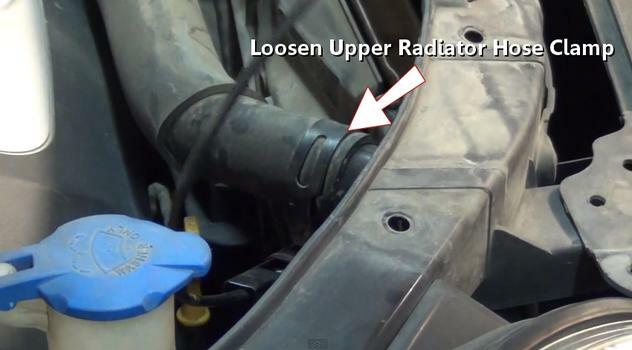 Step 9 - Then, remove the coolant overflow tube from the radiator neck. 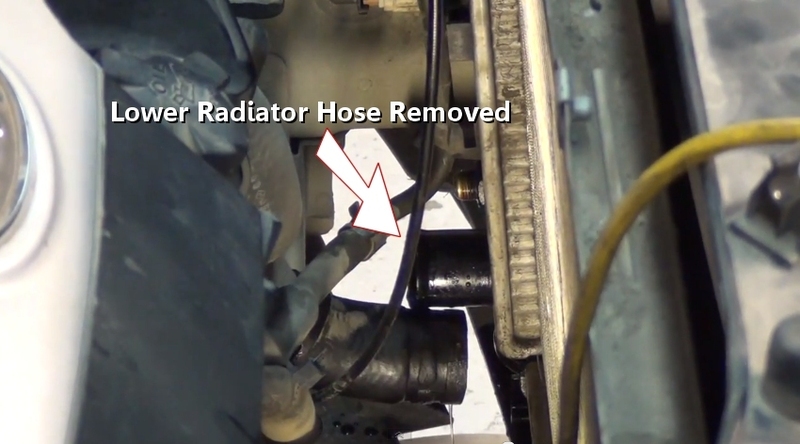 This hose can become stuck so a twist could be necessary. Once free, remove the coolant reservoir from the engine bay. Step 10 - After the coolant reservoir has been removed, locate and disconnect the cooling fan electrical connector. 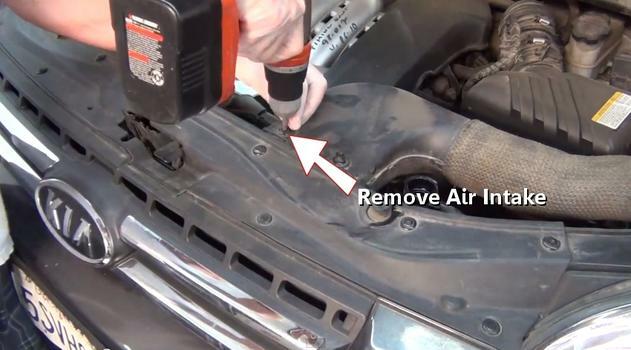 Step 11 - Using a hose clamp removal tool or channel locks loosen the upper radiator hose clamp. Step 12 - Once the clamp has been loosened, grasp the upper hose and twist to remove. Step 13 - Next, remove all cooling fan mounting bolts. Step 14 - After the cooling fan mounting bolts have been removed, gently lift out the fan and housing. 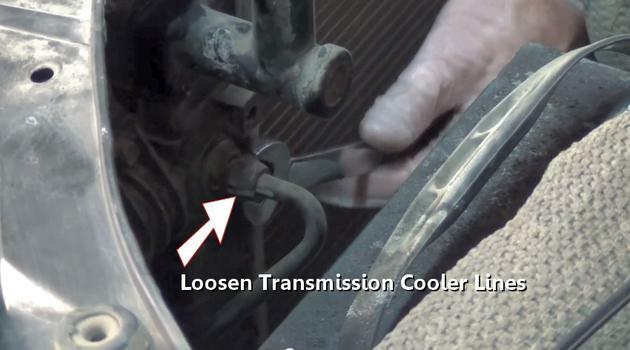 Step 15 - Then, using a wrench loosen and remove the automatic transmission cooler lines from the radiator, there should be two of them. 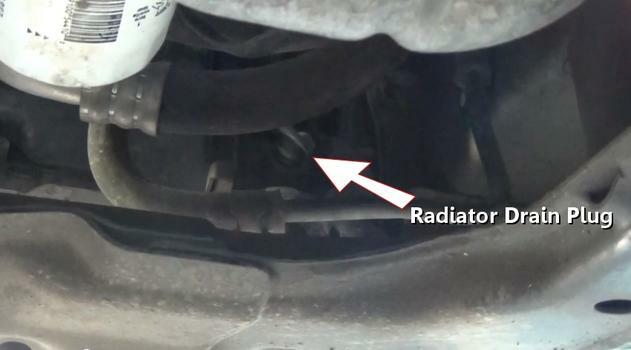 Step 16 - Once the transmission lines have been removed, locate the radiator mounting bolts and remove. 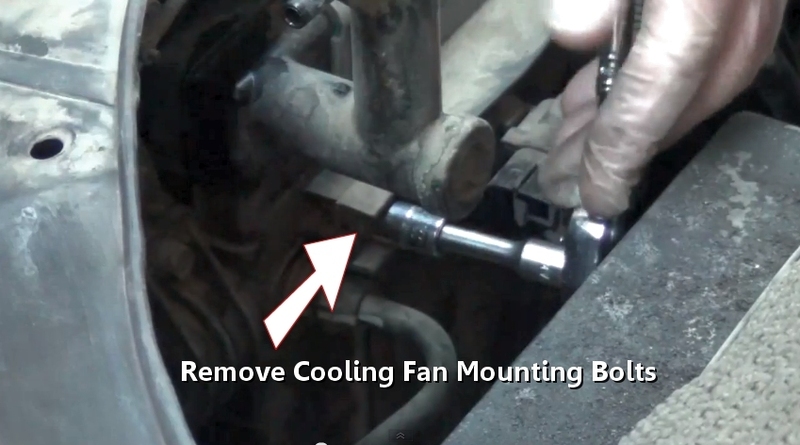 Step 17 - After the radiator mounting bolts have been removed, move the radiator forward to remove the air conditioner condenser from the radiator. This condenser will remain in the engine bay so vacuum down and recharge is not necessary. Step 18 - Using a hose clamp removal tool or channel locks loosen and remove the lower radiator hose. 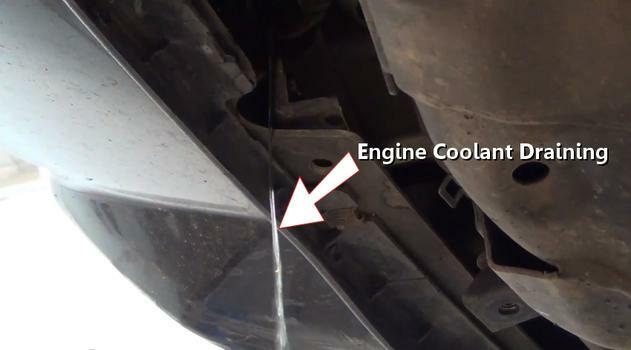 A small amount of coolant might leak from the hose, be ready with a fluid catch basin. Step 19 - Now that all hoses and mounting bolts and clips have been removed, gently lift the radiator from the engine bay. Step 20 - Once the old radiator has been removed, un-box the new radiator and match it up to the old radiator. Look for mounting clips. mounts and transmission lines that might need to be transferred over. Step 21 - After old radiator parts have been transferred over to the new radiator, gently install the new radiator. 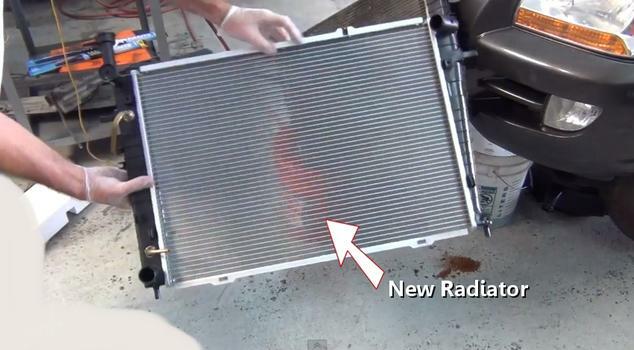 Be careful not to damage the radiator core while installation is occurring. 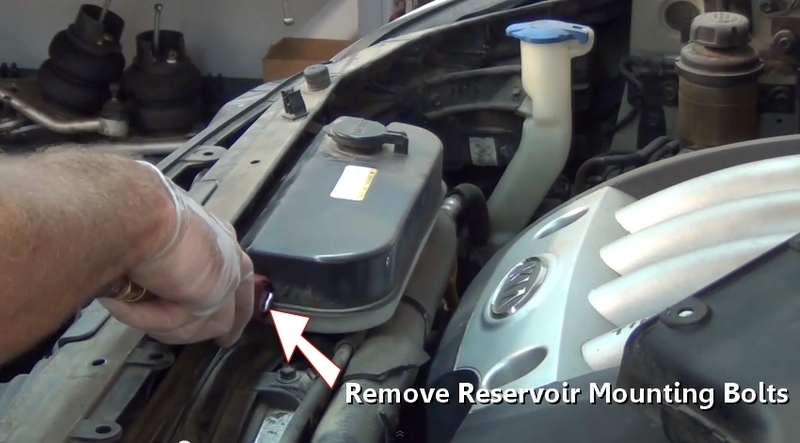 Step 22 - Once these steps have been completed, reverse the order to reinstall the new radiator. Refill the system with coolant and start the engine, allow the engine to warm completely while adding coolant until the thermostat opens. 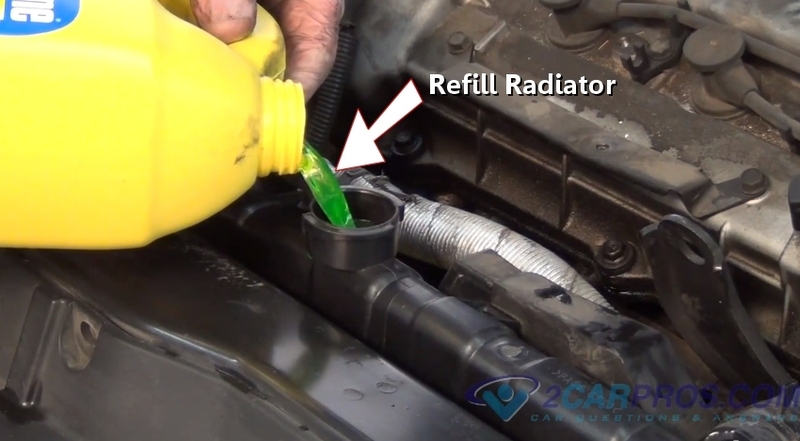 Step 23 - Next, reinstall the radiator cap by pushing down and turning it clockwise until tight, also check the coolant reservoir fluid level. 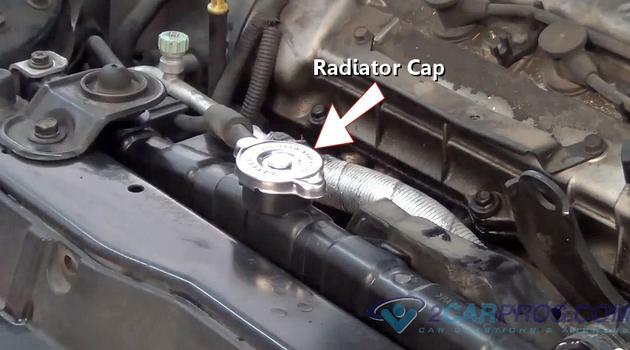 After installing the radiator cap, recheck the system for leaks, also recheck the coolant reservoir after a couple of days of operation. 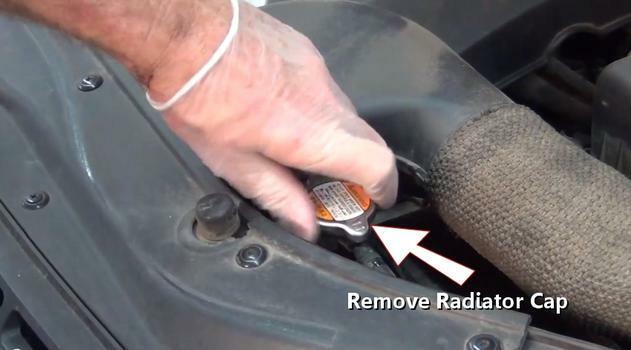 Once driving the vehicle, check the temperature gauge for overheating. A radiator removes heat from the engine through thermal heat exchange using coolant as a conductor and is usually located in the front of the vehicle under the hood. 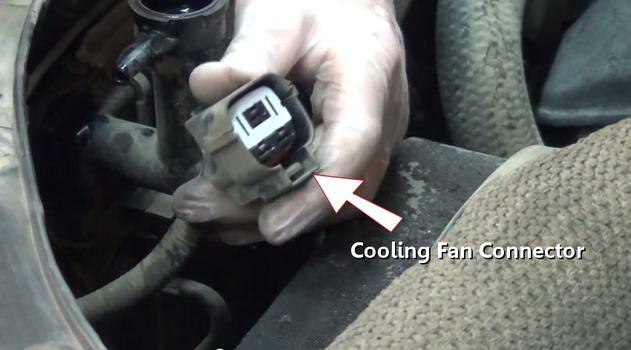 A cooling system consists of many parts including a thermostat, water pump and cooling hoses. A radiator is manufactured with a thin aluminum core coupled with plastic tanks which are prone to coolant leaks. When removing the radiator leaving the cooling fans attached and transferring them onto the new radiator while on the bench could be more efficient. 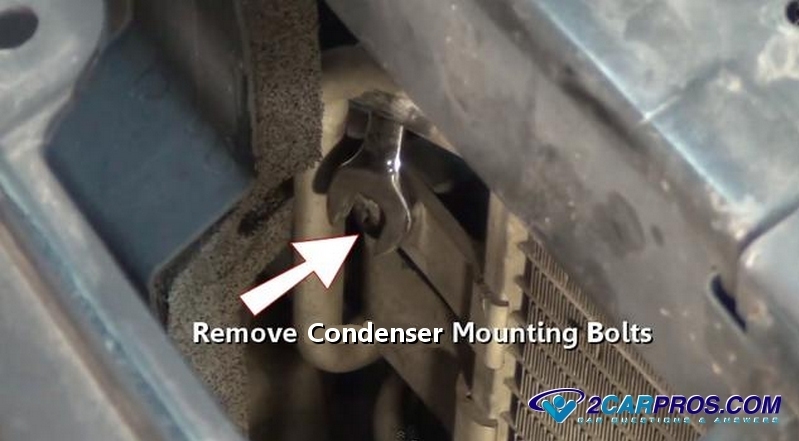 While the radiator is removed use a garden hose to clean the area including the air conditioner condenser. Disconnect battery cable to avoid short circuits. 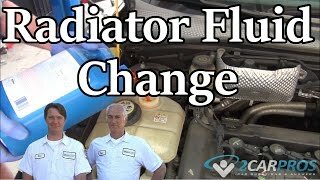 Replace the thermostat when changing a radiator. 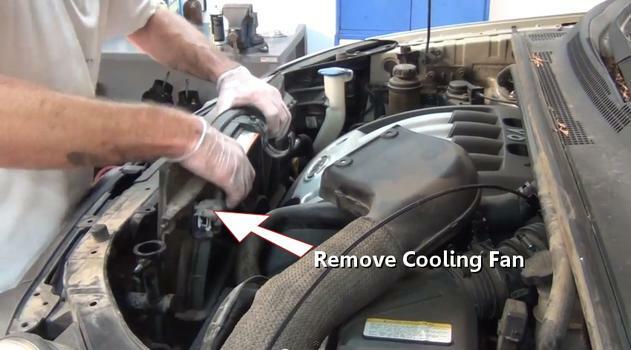 Flush the cooling system and install new coolant to protect gaskets and internal engine parts. 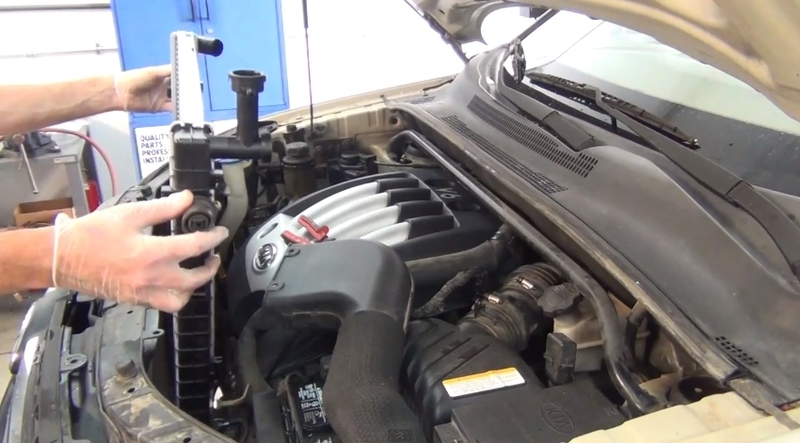 Replace upper and lower radiator hoses. 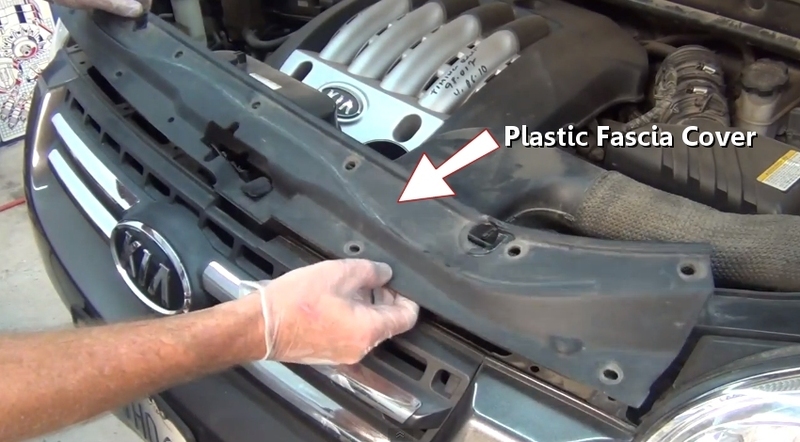 Inspect and remove debris such as plastic bags in front of the front grill area.